Taking Root in Provence- INTERNATIONAL Paper Back GIVEAWAY!!! What would it be like for you and your loved one to pick up and relocate to another country? How about Provence?! Anne-Marie Simons and husband, Oscar, did just that a few years ago when they moved from their home in the US, and have never looked back since. Do you blame them? Aix-en-Provence, according to Anne-Marie's book, Taking Root in Provence, is one festive day after another. There are saints' days, Corridas, season and harvest days- it's one holiday after another. Even on regular days it would seem the people of Provence are celebrating something! Being surrounded by friends, family and outrageously delicious food has to count for something..Taking Root in Provence fills you with the need to buy airfare and go! There is a sense of people taking the time to savour life, not just while eating and celebrating- it's the day-to-day in Provence that adds colour and dimension to people's lives. Even a trip to the butcher can entail conversation that has one walking out with more than just fresh meat. Extremely entertaining and well-written, Taking Root in Provence, whisked me away to open-air eating with a nice glass of wine one day- to a Corrida the next (historically, Provence has a strong Spanish influence and even their own dialect). I loved reading about Simons' customary- after- lunch hikes (the French love hiking- no wonder they're so fit!). And in between lunch and hiking? Lying under a tree and taking a little 'sieste' is de rigueur. Do you need to get away, even if just mentally? 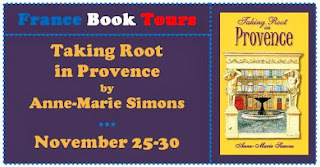 Taking Root in Provence is an absolute- must- read! With all this packed info on Provence, you can absolutely use it as a guide...but honestly, you will devour this gem for the essence and sheer pleasure it brings. Taking Root in Provencee immerses you into France, and begs you to embrace Provence's ways...who can refuse to taste a bit of this dreamy life? Speaking of taste, at the back of the book, Oscar shares some delectable recipes. 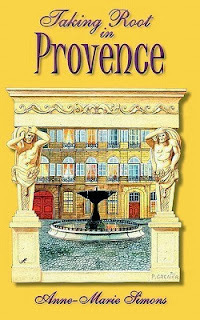 Join Anne-Marie Simons in her new dreamy life in Provence...You won't want this book to end! Anne-Marie Simons has worked as a translator, teacher, journalist, sportswriter (covering Formula 1 races), and director of corporate communications. HUGE ANNOUNCEMENT for Authors, Readers and Reviewers!!! My Beloved Enchanted by Josephine site will go back to its original purpose: My writing and researching of all that is historical- with Josephine as my muse. With time, it seems that Enchanted By Josephine, slowly got eaten up SOLELY by Book Reviews and Giveaways - so I thought I had better create a new place for all my Book Loving Stuff (which includes my reviews, interviews and Giveaways), and let Enchanted by Josephine thrive with my writing and research focused mainly on historical women, as originally planned. So now where will all my bookish musings get posted?? The Author, the Reader, the Reviewer. HF Book Muse- News will not only focus on all book-related news (upcoming releases, new events, books-into-movies, Giveaways...and of course Reviews!). In addition, a large part of this site will be dedicated to Author news, Reader and Reviewer news, Interviews (Lists, lists, lists! 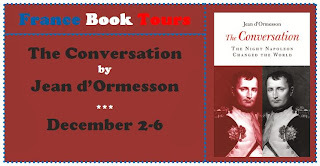 )- plus interesting insights and posts for all who love history and historical fiction. With time I've discovered my passion for learning more about the people behind the books (all of us HF lovers!) and I particularly love interviews and guest posts. These are wonderful channels for authors and readers to get better acquainted- so there will be a strong tendency towards these:) I'm open to suggestions and would love for you to contact me if you're interested! AS FOR THIS SITE- Please keep following for my historical research articles and fun tid-bits- I'll still be writing here! To celebrate there will be a Smashing Opening Giveaway soon...so I hope you'll be there! 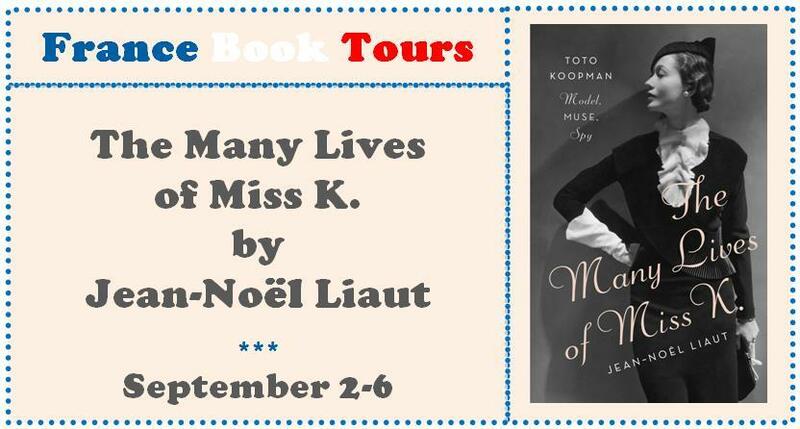 France Book Tours- Review and GIVEAWAY of THE MANY LIVES OF MISS K.!! 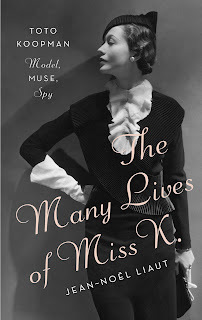 Read my Review of THE MANY LIVES OF MISS K.
And then enter the Giveaway! Miss K. stands for legendary icon and more, Catharina “Toto” Koopman. Born in Indonesia in 1908- her father was Dutch and her mother was half Indonesian with Chinese ancestry. And although at the time this was cause for much prejudice and segregation, Toto did not seem affected by this at all. In fact, she became to be the first- and very acclaimed bi-racial celebrity model. Under the tutelage of Coco Chanel, Toto became famous in her own right, spearing ahead to become more than just a glamourous model. Not only was Toto gorgeous and exotic, she was also very strong-minded with exceptional optimism even at the harshest of times in her life. Her beauty and wits- not to mention her flaunting independence- made Toto notorious as a woman who made her mark in 20th century Europe. She spoke several languages, was well-versed in the arts (a muse for one of the most important galleries from the 40’s to the 70’s that launched famous artists), was a fashion enigma, a spy for the resistance during World War II – and she survived the Holocaust! This adventuress woman, whose quest for independence had no limits, lived an outrageously unconventional life- even her romances had no sexual boundaries or gender preference. Toto really was unique and outstanding in all that she lived- almost to the point of it sounding surreal were it not for the true historical accounting for it all. 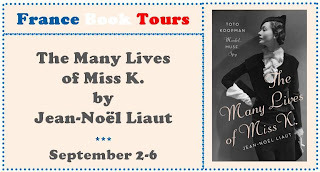 The Many Lives of Miss K., by Jean-Noel Liaut is a fascinating read. There is nothing missing in terms of accuracy and delicious recounting of the history itself. And although at times it reads quite factually, the book is chock-full of very personal, insightful, brow-raising, shocking, and extremely interesting information, that I just could not put this down. The Many Lives of Miss K.: A definite page-turner that unfolds the life of a spectacular individual whose life could not be more incredible if it were fiction! Open to Canada and US- GOOD LUCK!!! 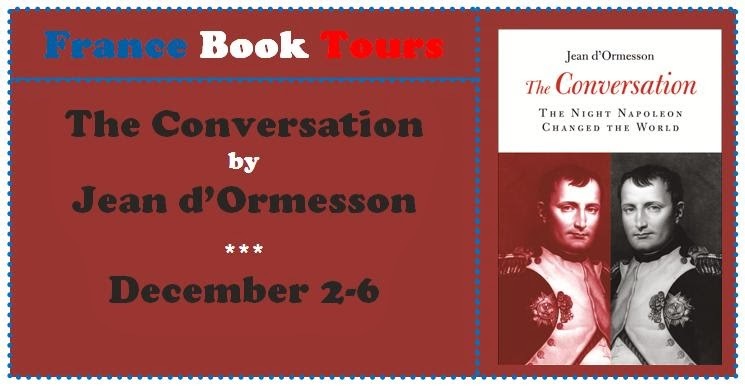 MARCHING WITH CAESAR- Interview and Giveaway!! 1-Throughout history Cleopatra was (and still is) often much maligned. After your extensive research, what do you make of this grand ruler? I actually wrote about this in a separate post, but essentially, I think that Cleopatra represents the absolute best example of how history is written by the winner, throughout the ages. Considering that, with the lone exception of Caesar's account of his time in Alexandria, which wasn't even written by him, none of the accounts of Cleopatra were written by anyone who actually knew her. And all of these accounts were written after the events that made her so famous, or infamous, and I would argue that the picture of her, and of Mark Antony, was created through the lens provided by someone who, without a doubt, hated Cleopatra on a personal level, in Octavian. One thing I tried to keep in mind at all times was that, in terms of options, Cleopatra was seriously limited. Her army had been crushed by a motley collection of a couple of Cohorts of the 6th Legion, a green 28th, and a Legion made of Pompeian leftovers in the 37th. Granted these were led by Caesar, and although his defeat of her brother-husband Ptolemy and sister Arsinoe was to her advantage, it had to be instructive to her. Then, 16 years later at Actium, she saw what was supposed to be the strongest navy in the known world destroyed. Finally, her other major asset, her wealth, didn't interest Octavian because he knew the location of Egypt's treasury, which was one of the great secrets of the ancient world. In a world run and dominated by men, that really left her one option, and one only, and that was to use the same charms that ensnared Caesar first, then Mark Antony. Unfortunately for her, much of that charm was based in her power and wealth, but by the time she met with Octavian, her power was gone, and as I said, he knew where the money was. However, I don't think Cleopatra was a shrinking violet; she was just as ruthless as her male counterparts, for example. One only has to look at her treatment of her siblings, particularly Arsinoe, but considering the kind of environment she grew up in, I don't think it's particularly surprising. Still, of all the historical figures that we know about, particularly those we know by one name, I think Cleopatra has gotten the worst treatment by posterity. 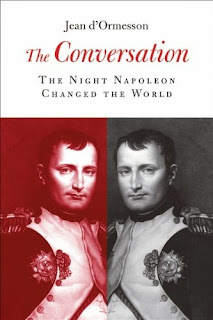 2- In your opinion who was the grander leader, Caesar or Mark Anthony? Not even close; Caesar in a runaway. Consider that Caesar was never defeated in a campaign, although he did suffer two tactical setbacks, one at Gergovia and one at Dyrrhachium. Antony, on the other hand, had a mediocre record, and that is being kind. His Parthian campaign was an epic disaster, where the vast majority of his casualties weren't caused by a Parthian arrow or lance, but by his own ineptitude. That said, there are definitely similarities between the two generals, mainly in their inability to look at a situation or problem through anyone else's eyes and viewpoint but their own. And both of them suffered for this failing. 3- Considering your military background, what fascinates you most about ancient military campaigns- is there anything to be admired and learned from those times? The level of hardship that the men of the Legions endured. Consider that at the end of every day, almost without exception, they had to dig a ditch that was at a minimum of 9 feet deep and 12 feet wide; if they marched for Caesar, it was 12 feet by 15 feet. Then, the next day, before they continued on the march, they had to fill those ditches in, then marched for anywhere from 20 to 30 miles, over all types of terrain and in all types of weather. Day in, day out, rinse, lather, repeat. Then, in battle, it was very much an "up close and personal" way of fighting, where you faced your enemy with only inches between you, which is much different from modern combat. At least most of the time. 4- Back to Cleopatra: Had there not been that tragic misunderstanding leading to her death- what do you think the outcome would have been and what impact would this have had on history? Honestly, I don't think that the world was big enough for Cleopatra and Octavian to co-exist, if only because of her son Caesarion. As long as the true son of Caesar existed, he would present a threat to the ersatz Caesar, Octavian. And while I suppose it's possible that, in order to protect the other children Cleopatra had with Mark Antony, she would have allowed Caearion to be sacrificed, personally I don't see that happening. And even if she did, how comfortable would Octavian be, knowing that the mother of the youth that he murdered still lived, just waiting to exact revenge? Also, how would Cleopatra have reacted to the idea of having her treasury stripped bare by Octavian, who desperately needed that money to pay the greedy Legions all the bonuses and pensions they had been promised? If she had allowed it to happen, then I would argue that, while she would save herself from Octavian, (perhaps), she would have become a target of her own subjects. Ultimately, I don't think the world had a place for Cleopatra. 5- In terms of research for content, please take us on a brief tour of your process to gather it all up and turning it into a book. I started what has become the Marching With Caesar series in 2008, and let's just say I jumped into the research with both caligae, and I mean that literally. Since this is based on the experiences of a man from the ranks, part of my research effort was focused on trying to get a feel for what it was like to "hump" (which isn't nearly as fun as the name implies; it's what we Marines call a forced march over rough terrain) as a Legionary. To that end I bought the entire kit of a Republican-era Legionary, and drove out to Big Bend National Park in West Texas, which has some of the most rugged terrain in the country. My reason for choosing Big Bend was only partially based on the rough country; it's also highly unlikely that any of the drug smugglers who use the remote area as a major route carry cameras. From that experience, I moved onto getting a feel for what it was like to handle a sword, which involved the purchase of a (already dead) pig that I hung from the rafters of my garage. And a lot of what I learned made it into the book, particularly with the sword, as I discovered the hard way the importance of holding the sword with the blade parallel to the ground, because in the perpendicular the blade will stick in the rib cartilage. Otherwise, there was the purchase of a LOT of books, of which a great number were out-of-print volumes from the 19th Century, when there was a Renaissance of scholarship focused on the Late Republic and Early Empire period. Most useful were the books of T. Rice-Holmes, along with T.A. Dodge, and M. Grant. However, the most important works were the primary sources; Caesar, of course, Plutarch; Dio; Appian, and to a lesser extent Suetonius, who was essentially the gossip columnist of his day. 6- Lastly, if your series makes it to the Big Screen (could happen! ), who would you see in the roles of Cleo, Caesar and MA? That is actually closer than you might think, but that's all I can say at this point. 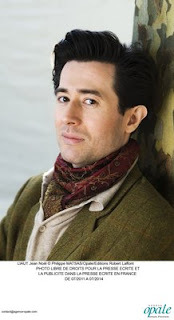 However, while I've put a lot more thought into who would play Titus, I will confess to some daydreaming about the other characters. And while I know this is unoriginal, for Mark Antony it's not even close; James Purefoy IS Mark Antony, based on his performance in the HBO series Rome, particularly the second season. Cleopatra is more problematic, and here I will admit to some hypocrisy, because of the wonderful cover produced by my cover artist Marina Shipova. As you have seen, our Cleopatra is very, very easy on the eye; historically speaking, from the available evidence, the cover isn't an accurate representation. Lyndsey Marshal, the actress who played Cleopatra in the series, opposite Purefoy, I think was a good choice because she was attractive, but had a definite exotic look, in contrast to Elizabeth Taylor. And she wasn't a classic beauty in the mold of Taylor. I've seen some websites that have suggested Angelina Jolie (not for my books, but in other projects) but I think that would be akin to having Liz Taylor playing the role. For my own personal reasons, I would throw all my objectivity out the window to lobby hard for Salma Hayek, but that's just me. In the fourth book of the critically acclaimed Marching With Caesar series, Titus Pullus and his 10th Legion are still in the thick of the maelstrom that follows after the assassination of Gaius Julius Caesar. With the disastrous campaign in Parthia behind them, Mark Antony continues his struggle with Octavian, both men vying for ultimate control of Rome. Enter Cleopatra VII, the Pharaoh of Egypt and mother of Julius Caesar's son, who harbors ambitions and dreams of her own. 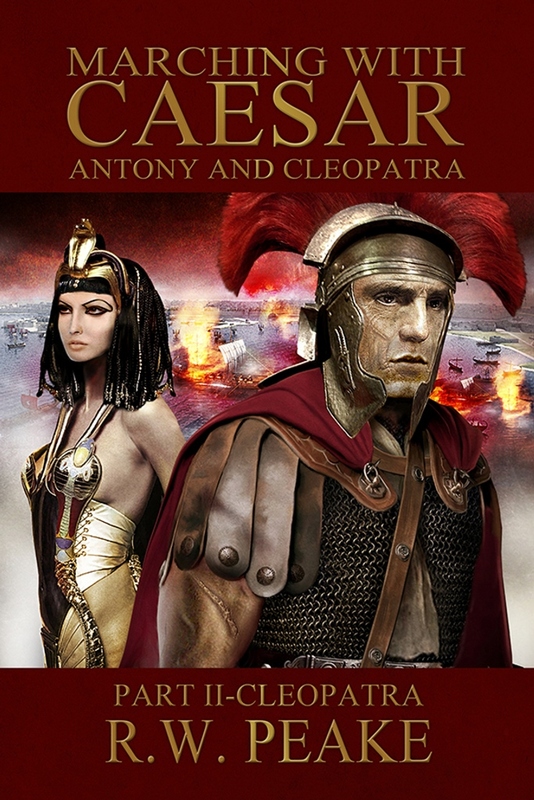 Through her son Caesarion, Cleopatra is a powerful player in her own right in the continuing drama being played out for control of the most powerful society on Earth. 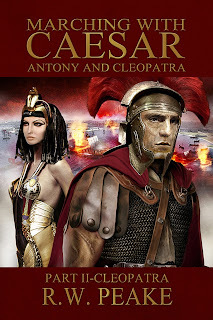 With Cleopatra combining forces with Mark Antony, Octavian, the legitimate heir to Caesar's fortune is facing the most formidable barrier to his ascendancy yet. Through it all, Titus Pullus and his men must tread a very careful path as the two forces head for an inevitable showdown at a place called Actium. I am a retired Marine, with a primary MOS of 0311, although over the years I picked up a few other designators, but I guess I will always think of myself as a grunt. I was born and raised in Houston, and have only recently relocated to the Olympic Peninsula of Washington. After my medical retirement from the Marines and realizing that my experience at locating, closing with and destroying the enemy by fire and maneuver was not exactly going to have employers knocking down my door, I decided to earn a Bachelor's degree, majoring in History, with a goal of teaching. Then my daughter came to live with me full-time, and while thrilled, I learned very quickly that a teacher's salary would not support her in the style in which she was accustomed. I must admit that I have always enjoyed writing; in fact; I wrote my first novel at 10ish, featuring myself and all of my friends from the street where I lived who almost singlehandedly fought off a Soviet invasion. I was heavily influenced by WWII history at that time, it being my second historical passion after the Civil War, so our stockpile of weapons consisted almost exclusively of Tommy guns, M1's, etc. Why the Russians chose my particular street to focus their invasion I didn't really go into, but after a series of savage, bloody battles, my friends and I were forced to make a strategic withdrawal to the only other part of the world I was familiar with at that time, the Silverton area of Colorado. I recently re-read this magnus opus, and it is interesting to track the course of my friendships with the core group that were the main characters of my novel. Some sort of argument or disagreement would result in the inevitable serious wounding of the friend with whom I quarreled, and depending on how serious it was, they might linger for days, clinging to life before they recovered, but not after suffering excruciating pain. From that beginning, through my adult life, I was always told that I showed talent as a writer, but it wasn't until I hit the age of 50 that I decided it was time to find out if that were true. And the result is Marching With Caesar-Conquest of Gaul, the first in a completed trilogy that is the story of one of the lucky few men who managed to survive and retire, after rising through the ranks of the 10th Legion. I hope that you enjoy following Titus Pullus' exploits as much as I enjoyed bringing him to life. For more information, please visit R.W. Peake's website.